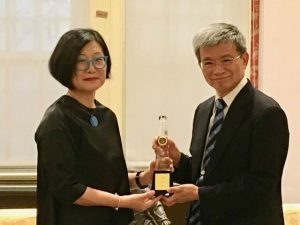 Professor Shu-mei Shih was awarded a distinguished alumnae award from her alma mater, National Taiwan Normal University, in August 2018. This award recognizes lifetime scholarly, artistic, or professional achievement as well as contribution to the university and to the society. She is especially recognized for her “extremely influential” work in Sinophone studies for which she is “widely known”. 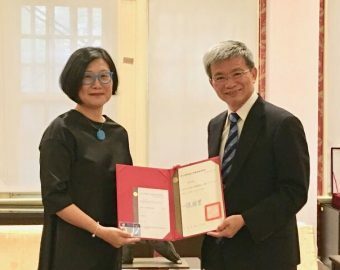 Simultaneously, she was appointed an honorary chair professor in the Department of Taiwan Languages, Literature, and Culture at NTNU for a term of two years. In that largely advisory capacity, she will lead collaborative research activities in conjunction with the UCLA-NTNU Taiwan Studies Initiative that she directs at UCLA’s Asia Pacific Center.